Sometimes simple is better. 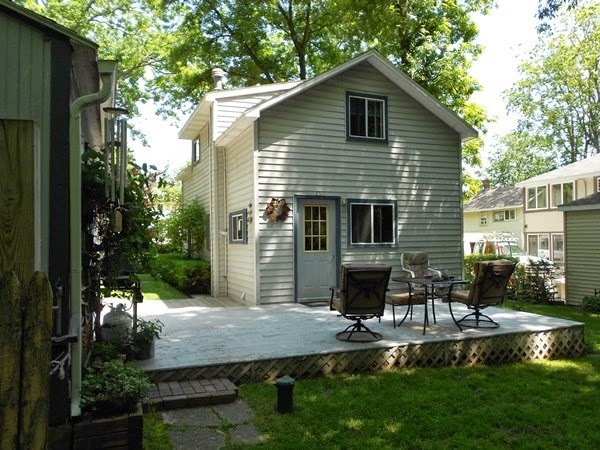 That may be the case with this two-bedroom cottage located off of Delavan Lake's South Shore. Situated in the South Shore Manor, this home, at 4325 East Drive, is available for a mere $110,000 and offers value and convenience of lake activity for a minimal price. 4325 East Drive is steps away from a private lakefront park. The benefits of being in South Shore Manor are numerous. 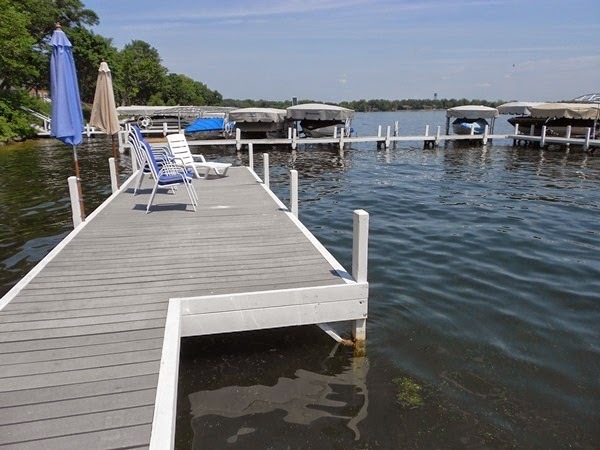 The association features a private park on the main body of Delavan Lake that includes a sandy beach, swimming pier, picnic area, and expansive views of the entire lake. Standing on the fishing pier, one can see from Lake Lawn Resort, all the way to the Island. The park is maintained with the $180 annual dues that are associated with the home. Additionally, there is a private boat launch that is only available to association members. This allows for easy lake launching of boats, kayaks, and jet skis. The home itself has a large kitchen, great room, full bath, and two cozy bedrooms. Additionally, there is a side porch that can be used for additional sleeping area, toy storage or a play area for kids. Simple, easy to maintain, and ready to start the summer. If you are not sure about whether or not lake life is for you, you may want to start out with a condominium unit to minimize the cares and concerns that sometimes come along with a lakefront property. An example of a great starter condo is present at 1401 Delavan Club Drive in the Delavan Club condominium complex. Listed for only $159,000, this one-bedroom unit features a large great room and open concept living. The kitchen includes granite counter tops, tile floor and a walk in pantry. The master bedroom is large enough for a king size bed, and there is a jetted tub in the full bathroom. The great room at 1401 Delavan Club includes a pass through to the kitchen area. Included in the Delavan Club complex are association piers, a boat launch, outdoor swimming pool, club house, tennis courts and volley ball courts. The club house includes a weight room, sauna, steam room, library and kitchen facilities. A tour of the unit can be completed through the link below. When people describe a perfect lakefront lot for building their Dream Home, some of the same desires are repeated over and over. - At least 100 feet of frontage. - A private wooded entrance. - Level walk in frontage. - Ability to build a walk-out lower level. 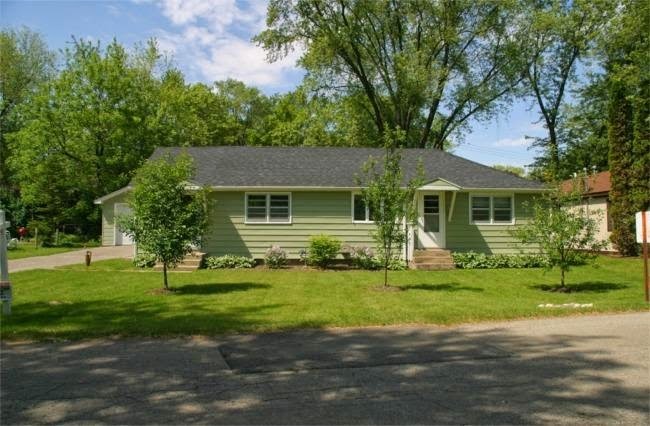 It is very rare that all of these desires can be met in one property, yet right now, they are all available at 3117 South Shore Drive, Delavan Lake. This ideal lakefront lot features nearly three acres of vacant land with the road side protected by mature oaks and hickory. A wooded drive leads down to a clearing that opens up into a panoramic view of Delavan Lake. The lush lawn is inviting the next owner to engage in a game of croquet, bocce ball or just relax in a hammock. Priced at $849,000, the lakefront parcel is neighbors to two newer homes that have similar frontage and lot sizes. Sometimes you want to get away. Sometime you want to get away every day. 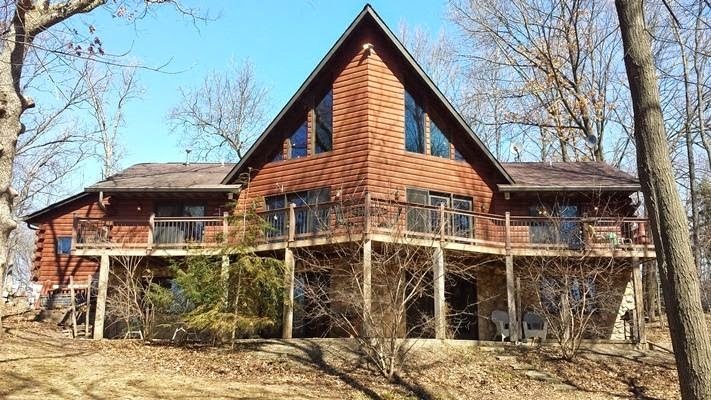 This rustic retreat on peaceful North Lake, ten miles north of Delavan, is the perfect setup for someone that wants to escape from the hustle and bustle of everyday activities and gaze out on a placid natural setting. Creature comforts are not absent from this log-style home, however. The master suite features a jetted tub, walk-in closet, and direct access to a wrap around deck. In the lower level is a spacious family room with wet bar, hot tub, wood burning stove and full bathroom. Priced at only $284,900, this home at W6931 Lakeshore Drive could be a weekend retreat or a full time residence for the nature loving owner. The first quarter of 2014 was cold and brutal for the Delavan Lake Property market. There were only four lake access properties sold and no lakefront properties sold during this period. Last year, there were three lakefront properties sold and five lake access properties sold. The range in sales were $53,000 for a foreclosure in the Delmar Subdivision to a $160,000 four-bedroom ranch in the Viewcrest Subdivision. The sales of lake condos were equally poor in the first quarter. There were three transactions that took place. All of the sales were condo-hotel units in the Delavan Lake Resort. They sold for $17,000 each. These units had sold for $140,000 in 2001. Currently, there are 67 lakefront or lake access homes available for sale around Delavan Lake. This is down from 68 that were offered this time last year. The home prices start at $59,900 for a three-bedroom cottage in the Delmar Subdivision to $1,499,000 for a five bedroom showpiece on Delavan’s North Shore. The North Shore lakefront includes a two-bedroom apartment above a separate garage. There are only 16 lake access condos available for sale on Delavan Lake. This compares with 35 that were available this time last year. The prices range from $75,000 for a Lake Lawn condo hotel unit to $299,900 for a Delavan Gardens three-bedroom, three-bath unit that includes a boat slip on the North Shore. The best value for a lake access home is located at 1605 Jackson Park Drive. 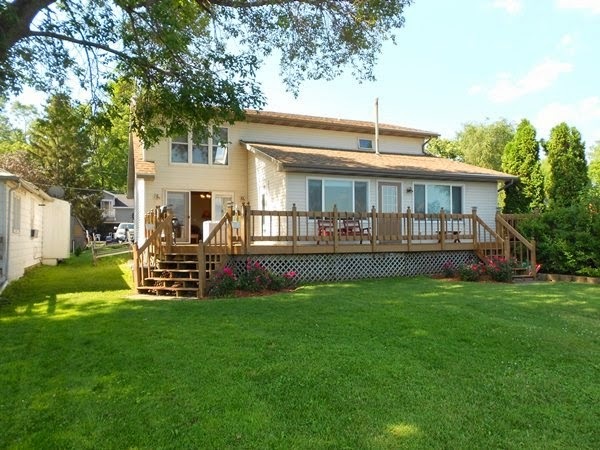 This two-bedroom lake home is in excellent condition, sports a large back deck, and includes a deep water boat slip on the North Shore of Delavan Lake. The home is listed for $174,000. 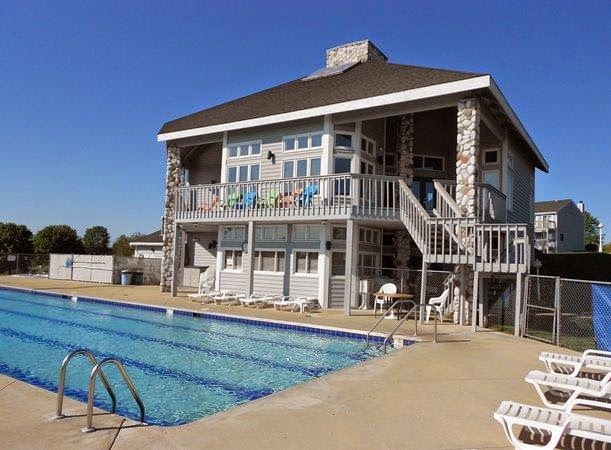 1605 Jackson Park has a large back deck for summer enjoyment. The best value for a lakefront home is located at 4146 Glue Gill Road. This three-bedroom, three-bath waterfront has 50 feet of private frontage, a spacious deck, oversized pier and two living room spaces that look out on the water. Listed for only $489,000, this home also has a two car garage for boat and toy storage. Enjoy the views of the entire lake from the private deck on 4146 Blue Gill. 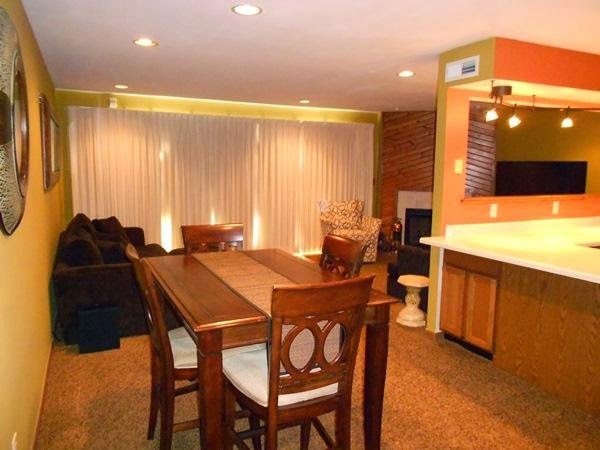 The best value for a condo unit is located at 1435 Delavan Club Drive. 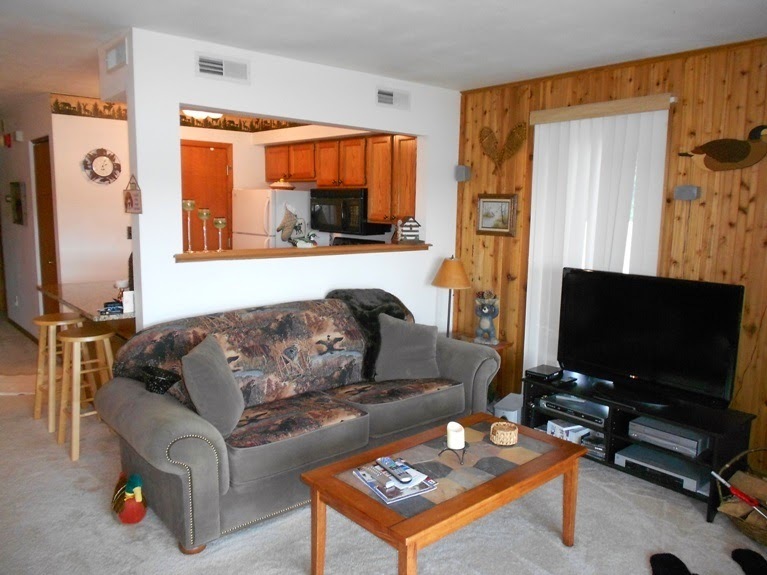 This two-bedroom unit, listed at $219,000, has been completely remodeled and walks out directly to the lake. The complex includes a swimming pool, exercise facility, sauna, steam room, tennis, basketball, pier use, boat launch and a club house. The relaxing pool awaits your arrival at the Delavan Club.